How do you like your breakfast? 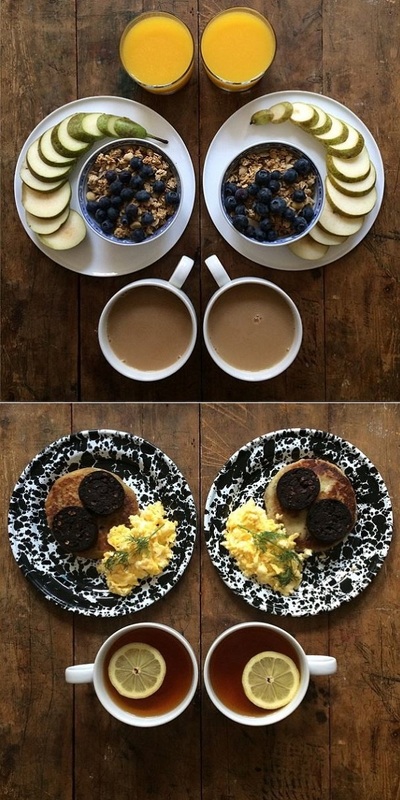 Michael and Mark from London like theirs symmetrical :) One cold morning last year, Michael made omelette with avocado and salami for breakfast and noticed it was perfectly symmetrical, so he snapped a photo and posted it on Instagram. 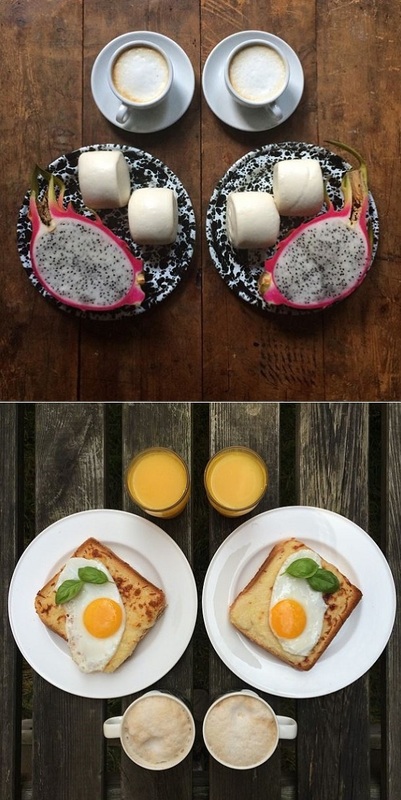 Ever since that day, it became his routine to create beautiful breakfasts, photograph them and post them exactly at 7:30 am each morning. Besides the obvious scrumptiousness, Michael hopes to inspire others to be more adventurous with their food and maybe even swap their usual bowl of porridge for something different from time to time. I love that, you? P.S. Undone and date night winter style. P.P.S: French omelette á la Julia Child. I love how he changes up the breakfast every day. All creative yumminess! mmm breakfast is my favorite meal. all these look so tasty! Katie, that mango looks so delicious, doesn't it?